Goalkeeper Milan Borjan stopped three shots for the Canadians. Jean-Beaunel Petit-Homme had 14 saves for French Guiana. Canada got on the board in the 12th minute after Hoilett popped a shot from the top of the box into the bottom left corner of French Guiana's net. A bad pass from Canada's Sam Piette led to an even score midway through the first half. The Montreal Impact midfielder was looking to get the ball back to Borjan, but didn't see Rimane moving in. The French Guiana captain forced the ball through Borjan's feet and punched it into the wide-open net. 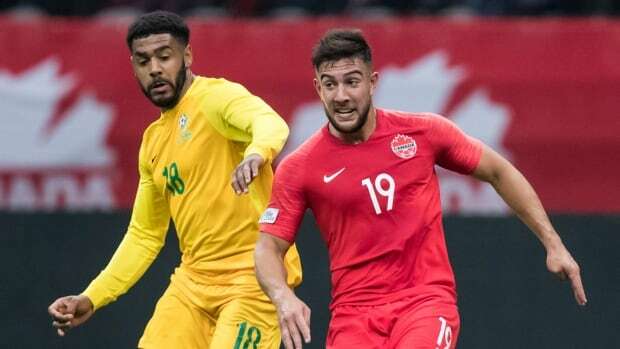 The Canadians took back the lead in the 39th minute thanks to a beautiful passing sequence where Jonathan Osorio sailed the ball to David, who sent it to the feet of a diving Cavallini. The 26-year-old forward slid the ball into the net. David added another tally just two minutes later. He first headed the ball forward, then fired it in past Petit-Homme. Cavallini struck again in the 50th minute, heading in a cross from Mark-Anthony Kaye. Petit-Homme got a hand on the ball but couldn't stop it from rolling into the net, making the score 4-1 Canada. The Toronto native now has six goals and an assist in 12 appearances with the national team.